Stock market performance report for Monday 10th of September 2018 below. JSE Combined Index – 4.10m shares / $70.6m traded. (21 Advanced / 19 Declined / 12 Firm) . There were 4 new 52-week highs and 2 52-week lows today. Ordinary Shares – Main Market – 3,091,854 shares, 28 stocks traded, 16 not traded. Ordinary Shares – Junior Market – 997,348 shares, 24 stocks traded, 10 not traded. 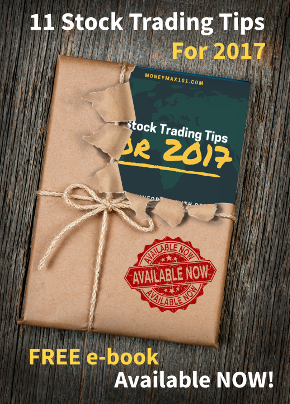 Preference Shares – Junior Market – 0 shares, 0 stocks traded, 1 not traded. Preference Shares – Main Market – 550,000 shares, 13 stocks traded, 19 not traded. Blue Power Group Ltd (BPOW) traded between -4.17% and 16.67% above yesterday’s closing price of J$6.00 ( from J$5.75 to J$7.00) . It closed at J$6.08. Derrimon Trading Company Ltd (DTL) traded between -9.35% and 13.31% above yesterday’s closing price of J$3.53 ( from J$3.20 to J$4.00) . It closed at J$3.68. Jamaica Producers Group Ltd (JP) traded between 0.20% and 7.72% above yesterday’s closing price of J$19.96 ( from J$20.00 to J$21.50) . It closed at J$20.13. Indies Pharma Jamaica Ltd (INDIES) traded between -0.99% and 7.26% above yesterday’s closing price of J$3.03 ( from J$3.00 to J$3.25) . It closed at J$3.17. Mayberry Jamaican Equities Ltd (MJE) traded between -3.00% and 5.00% above yesterday’s closing price of J$10.00 ( from J$9.70 to J$10.50) . It closed at J$9.99. Derrimon Trading Company Ltd (DTL) traded between 13.31% and -9.35% below yesterday’s closing price of J$3.53 (from J$3.20 to J$4.00) . It closed at J$3.68. Caribbean Producers Jamaica (CPJ) traded between 1.87% and -6.45% below yesterday’s closing price of J$5.89 (from J$5.51 to J$6.00) . It closed at J$5.89. Carreras Ltd (CAR) traded as low as -4.21% below yesterday’s closing price of J$9.50 (between J$9.10 and J$9.50) . It closed at J$9.48. Blue Power Group Ltd (BPOW) traded between 16.67% and -4.17% below yesterday’s closing price of J$6.00 (from J$5.75 to J$7.00) . It closed at J$6.08. Jamaica Broilers Ltd (JBG) traded between 1.61% and -3.50% below yesterday’s closing price of J$28.00 (from J$27.02 to J$28.45) . It closed at J$27.47.